Meet our horse trainers and lesson instructors! Megan is the founder of M&M Acres. She has been working with horses for 20 years with a background in natural horsemanship and dressage. She believes that horses, and all animals, have the power to heal. In working with troubled animals we also heal ourselves. Cassie has been riding horses since the age of ten and has fifteen years' experience with horses. She specializes in Western and English pleasure and also has ventured into other disciplines such as hunter/jumper, reigning, and carriage driving. She has made it her life's mission to understand the way a horse's mind works and has come to M&M acres to train horses for their forever homes. 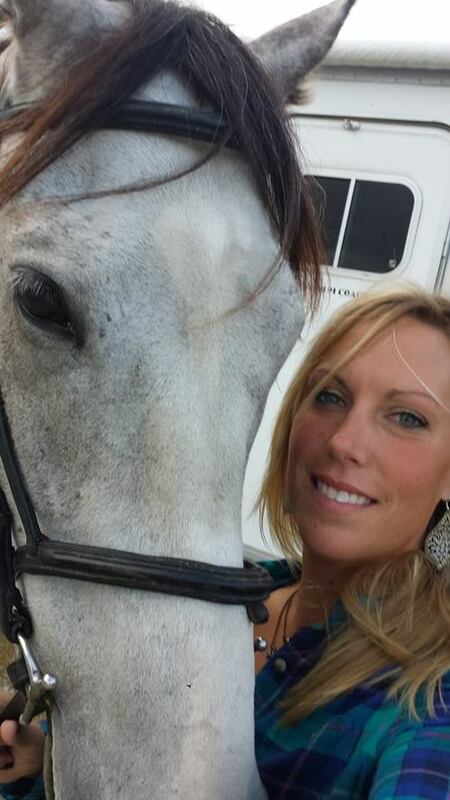 April, our instructor and trainer, has been obsessed with horses (Yes, obsessed! Have you met her?) her entire life. She has been working with horses for over 30 years. She's worked with harness racehorses and loves driving horses almost as much as she loves riding. She has experience starting and training a variety of breeds of horses. She currently runs her own private boarding stable while raising 4 daughters! She loves what M&M stands for - saving those who can't save themselves, making a difference one animal at a time. She loves rehabilitating, retraining and rehoming all animals (especially horses). Have we mentioned she's OBSESSED with horses? Alyssa has been working with horses for over 18 years. Her background includes: Western and English pleasure and jumping, with dressage being her passion. Alyssa trains and prepares our horses for use in lessons and ultimately, adoption. She believes that all animals deserve a second change. Kourtney, our porcine specialist, has been passionate about animals her entire life. She was sent to farm camp as a child (boy she must have been disobedient) to learn to care for animals, as well as general husbandry and medical skills. She participated in farm camp until she was 16 years old (next best thing to military school). She worked as a NCVT for 10 years before going to school and becoming a Certified Veterinary Technician in 2013. She believes in M&M because when passionate people pull together with a common goal, success is the only option. Kourtney is the President of our Board of Directors. Peyton has been riding and loving horse since the day she first swung her leg over a horses back when she was 4 years old. She has her degree in both Equine Science and Horse Technology from Blackhawk College (see, kids, you can make a career out of horses). She travels the Midwest to compete in barrel racing with her horse, Naomi. She also has experience in Western Pleasure and Jumping. Since she was a little girl she has done everything she can to help animals in need. She's has an amazing ability to make a real difference in the lives of M&M residents.